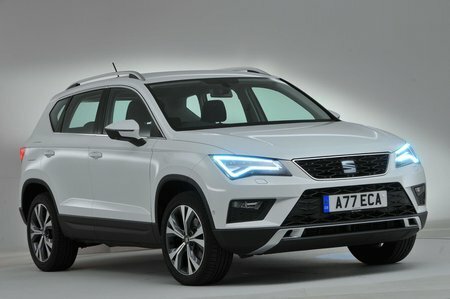 Seat Ateca Boot Space, Size, Seats | What Car? It’s unlikely that anyone will get into the Ateca and find there isn't enough room in the front. It’s possible to slide the seat back a good amount to accommodate long legs, while those long in the body will find the seat drops low enough to give plenty of head room. As for width, you certainly won’t be clashing elbows with your passenger. As you’d expect from such a tall car, the door openings are big and you can easily slide onto the front seats. Storage is good; both front doors get large door pockets and there’s additional storage under the front armrest, where fitted. There’s also a handy cubby under the heater controls, which, on certain models, you can pay extra to add a wireless phone-charging dock within. The Ateca’s rear doors are a good size and open wide enough to make access easy. There’s plenty of leg room once you’re inside – even tall adults won’t find their knees pressed up against the front seatbacks. There’s no shortage of head room, either; the roof is higher than a Nissan Qashqai’s so head space is roughly on a par with the Volkswagen Tiguan. Even though there’s a high central floor tunnel for the middle passenger to straddle, the Ateca is better at squeezing three in the back than many rivals, including the Qashqai and Toyota C-HR. All models get pockets in the rear doors, although S versions do without a rear armrest that comes with two cupholders. 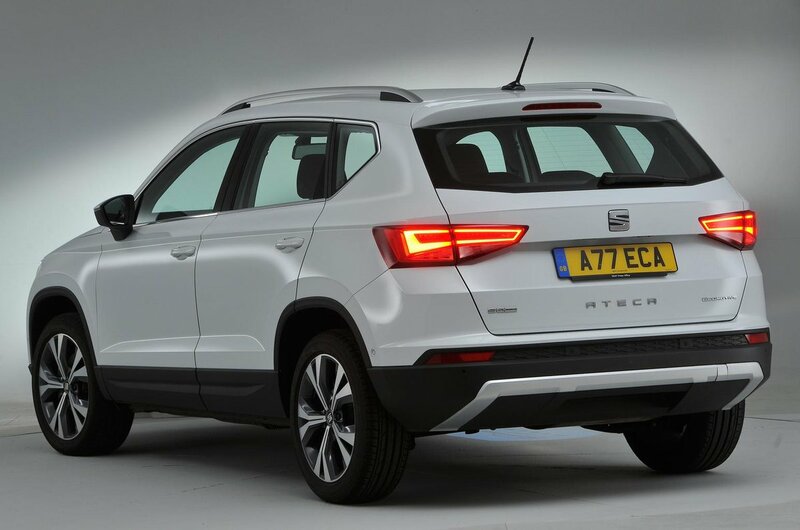 The Ateca may be based on the Tiguan, but it doesn't have that car’s clever sliding and reclining rear seats – a feature that's also standard in the Kia Sportage and some versions of the Skoda Karoq. In fact, the Karoq's VarioFlex rear seats can even be removed completely to create a van-like load bay. You also have to make do with 60/40 split-folding rear seatbacks in the Ateca instead of the more flexible arrangement of 40/20/40 that some rivals offer. SE models and above have handy release levers just inside the tailgate opening that make it easy to drop the rear seats. As for the front seats, you have to upgrade to SE trim or above to get height adjustment for the front passenger seat. This is another area where the Ateca pips the Qashqai and Sportage – although not by much. The boot is a nice, square shape with a wide aperture for loading broad items. The Karoq's is slightly bigger, mind. A height-adjustable boot floor is a fairly cheap option and, when set to its highest position, there’s virtually no load lip at the entrance and no big step in the floor of the extended load bay when the rear seats are folded. The rear seats lie at a slight angle when folded, but it’s not acute enough to be a nuisance when you’re loading longer items inside. 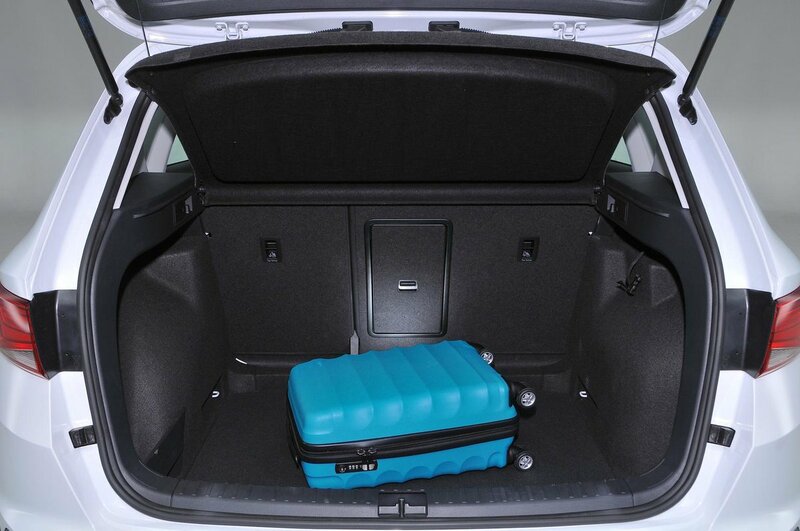 If you’re considering a four-wheel-drive model, it’s worth remembering that boot space is reduced by about 5%.